Anxiety in children is a topic very close to my heart. You see, I struggled with pretty debilitating phobias when I was in elementary school, and while I mostly outgrew my fears by the time I reached high school, I’ve always experienced varying levels of anxiety throughout my life. Most of the time, it’s completely manageable and I’m able to shoo my distorted thoughts away the moment they enter my brain, but when life gets stressful, it’s not as easy for me to stay grounded. The good news is that I’ve developed quite the collection of coping strategies over the span of my life. I recognize the signs of an impending panic attack, I know what I need to do to calm myself down, and if I can’t bring myself to a complete state of zen, I am cognizant enough to realize that the physical reactions I’m experiencing will eventually go away. The bad news is that my daughter also suffers from anxiety, and while I always assumed I would be the PERFECT person to parent a child with big worries, I’ve learned that anxiety manifests itself very differently from person to person, and the things I wish someone had done for me when I was a child aren’t necessarily the things my own daughter needs. As you can imagine, I’ve spent a lot of time researching anxiety in children and different coping strategies to help teach appropriate self-regulation over the last couple of years, and it’s been extremely eye-opening. Not only do I understand my daughter’s worries better, but I also have a much better understanding of the things I should – and should not – do to help bring her back to a place of calm. The process has forced me to address my own anxiety, and I find the 2 of us developing a unique bond whereby we’re figuring out ways we can support one another. So when Niki from Wyldflower Yoga reached out to ask if I would be interested in testing out her monthly yoga kit, I was game. 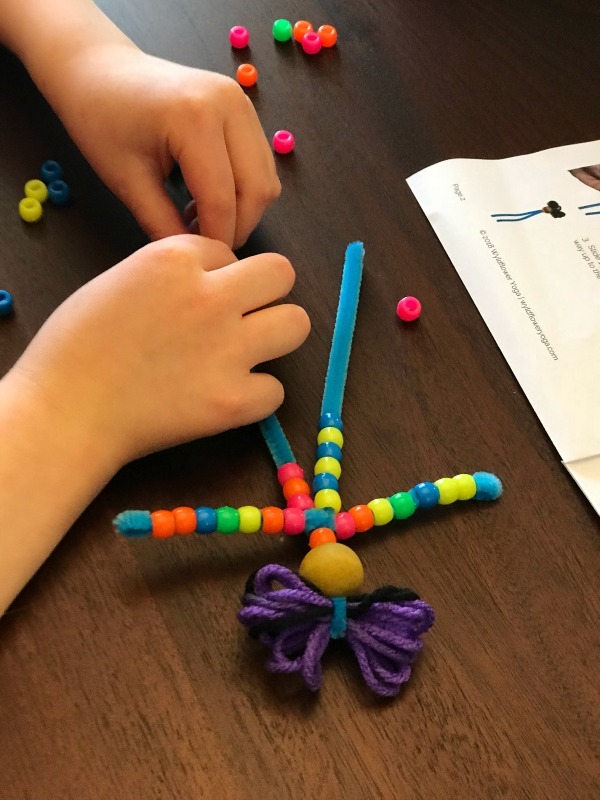 I have been looking for activities my daughter and I can do together after school to unwind and connect with one other, but since we don’t get home until 5 pm each evening, enrolling in a class just isn’t feasible. I need something we can do at home when it suits our schedule, and Wyldflower offers us exactly that. I’ve provided more information about Wyldflower Yoga later on in this post, but before we get to that, I want to share some more information about anxiety in children: what it is, how it presents itself, my best tips for parents who have an anxious child, and some great coping skills for kids! There are many different ways to define anxiety, and if I was asked to give my own definition, I’d say it’s the natural reaction our bodies have to a stressful event or situation. We all experience anxiety to some degree throughout our lives – on the first day of school, when we start a new job, or when we do something outside of our comfort zone – but when the feelings are extreme, last longer than they should, and/or interfere with our ability to function each day, it can be a sign that we are suffering from an anxiety disorder. If you suspect your child may suffer from anxiety, it’s important to speak to her doctor first to ensure something else isn’t going on. Before we dive into anxiety coping skills for kids, here are some pointers for parents of anxious children. Because let’s face it: parenthood is hard enough without trying to figure out how to make your child’s fears and phobias go away. It can be heartbreaking to watch your little one worrying needlessly over things you don’t understand, and when it starts impacting your child’s sleep, willingness to go to school, and overall temperament, it can really test your patience. 1. Do what works best for your child. Some kids like to talk about the things that worry them ad nauseam, whereas others become more upset when they discuss their fears out loud. Some kids like lots of hugs and cuddles, other like to be left alone when they’re feeling stressed or anxious. Pay attention to the things that calm your child, and take note of the things that heighten her anxiety so you can better support her. 2. Be empathetic & reassuring. One of the worst parts about experiencing anxiety, particularly when you’re a young child, is feeling as though no one understands, and that there’s something wrong with you. No matter how far-fetched your child’s fears are, remember that they are very real to her. Get down on her level, take the time to listen to her, remind her that everyone has worries, and share examples of the things that make you anxious, and what you do to make yourself feel better. 3. Don’t avoid stressful situations. As tempting as it is to help our children avoid the things that cause them anxiety, this encourages ‘escape/avoidance’ behaviors, which actually maintain and intensify anxieties over time. Exposure Therapy (ET), in which a therapist (or a parent) works with a child to break down specific anxiety-provoking situations into several, smaller fears can help. The idea is to expose the child to each situation – starting with the one that causes the least amount of fear first – and have the child stay within the fear-inducing situation until her anxiety has come down. Reward charts are a great way to get kids motivated to participate in ET when used properly! 4. Use the ‘one and later’ approach. I’ve often read articles in which therapists discuss the success of using a ‘one and done’ approach when trying to treat anxiety in children. The idea is simple enough: when a child wants to talk about something that’s causing her anxious thoughts, you engage in the discussion for a minute or so, and then you’re not ‘allowed’ to talk about it again. The assumption is that by not talking about her worries, the child will stop focusing on them. I like the premise behind this technique, but I prefer a ‘one and later’ approach as I feel taking away the ability to discuss a fear or worry for the rest of the day can be too overwhelming for some kids. 5. Reduce anticipatory stress. If your child exhibits anxiety leading up to stressful events, like taking medicine or visiting the doctor, try to find ways to reduce anticipatory stress. Don’t allow them to see or know they have to take medicine until it’s mixed and ready to be swallowed, don’t tell them about doctor appointments until you arrive in the parking lot, etc. 6. Keep calming tools handy. If your child has a tendency to get nervous and agitated when you’re away from the comforts of home, make sure to have some calming tools handy. 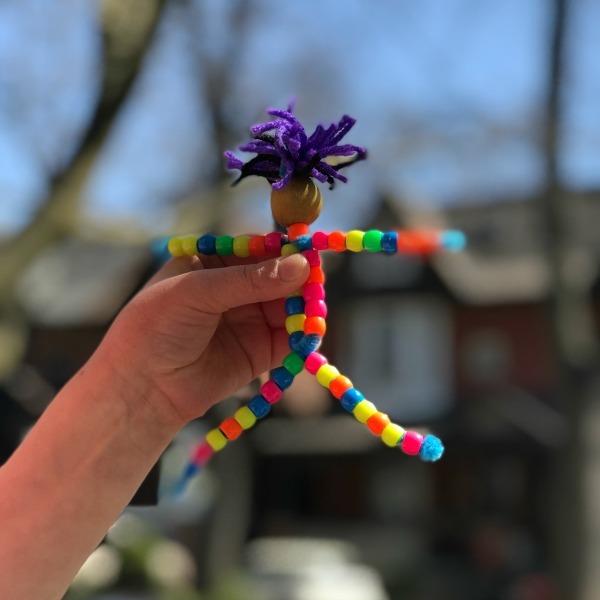 Squeeze balls, soothing music, kaleidoscopes, and playdoh are all great ways to offer a child an outlet to get their worries out when they feel overwhelmed. 7. Incorporate relaxing activities into your daily routine. If your child is plagued by big worries, setting aside time each day to relax, unwind, and connect with one another can make a world of difference. The more relaxed and supported your child feels, the more likely she’ll be to open up to you about her fears and worries. Need some inspiration? 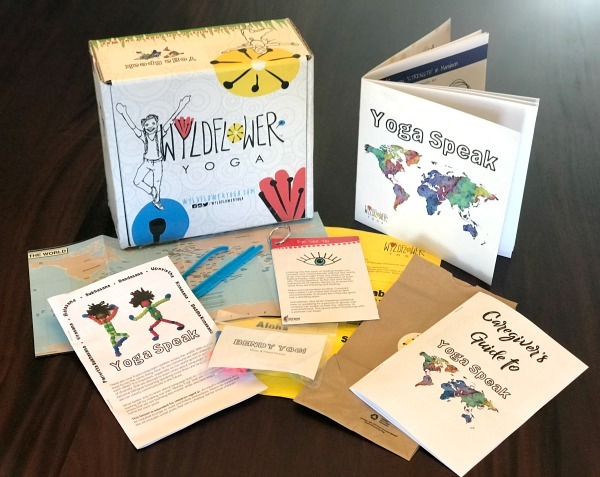 Wyldflower Yoga kits are a great place to start. Keep reading for more information on how Wyldflower Yoga can help your child with her feelings of anxiety! Anxiety in children can be difficult to treat, particularly when we don’t understand the reasoning behind our child’s fears, but there are certain strategies you can teach your child to help her cope when her worries threaten to take over her body. Here are 8 ideas we love! 1. Mindful breathing. When a child is experiencing feelings of anxiety, her breathing pattern will change. She’ll start to take short, fast, and shallow breaths, which makes anxiety much worse. Mindful breathing – taking in a slow breath through the nose, holding the breath for a few seconds, then exhaling slowly through the mouth – will help your child focus on something other than her anxiety, and once her breathing has slowed, she will feel more calm. I love the technique taught in our first Wyldflower Yoga kit as it’s easy and fun. It’s called ‘kiyam’ (pronounced ‘key-yam’), which means ‘let it go/let it be’, and the idea is to chant ‘ki-yam’ with each breath you take. Say ‘ki’ while you breathe in, and ‘yam’ while you breathe out. Start with a whisper, and then say it more forcefully with each breath you take. It really, really works! 2. Assess the size of the problem. Kids often lack the ability to assess which of the problems they encounter are big and which are small, and helping your child evaluate anxiety-provoking situations will teach her how to make this judgment on her own over time. 3. Ask an adult for big squeezes. Sometimes a big bear hug from mom can make a huge difference in making big worries feel more bearable. 4. Do a sensory check-in. This is another coping skill to help children with anxiety that I learned from Wyldflower Yoga, and it works wonders. When your child is feeling overwhelmed, ask her to sit in a quiet place and encourage her to use each of her 5 senses (sight, sound, smell, touch, and taste) to identify with her surroundings. What does she see? What does she hear? What does she smell? It may seem a bit silly at first, and if your child feels that way, that’s totally okay! The point is to focus on the sensory input she’s receiving from the world around her instead of the invasive, anxious thoughts she’s feeling. And when those anxiety-provoking thoughts do threaten to take over, remind her to dismiss them and imagine them floating away from her. 5. Counting or reciting. This is an easy coping skill for kids as it can be used absolutely anywhere, and it continues to help me when I feel overwhelmed and anxious. When big worries start to brew, remind your child to count or recite something. You can make this as easy (count from 1 to 20) or complex (recite the alphabet backwards) as you need, and you can do it out loud or silently in your mind. Give it a try – it really does help! 6. Remember: they’re just thoughts. Sometimes all our kids need when they feel overwhelmed is a reminder that the things they are worried about are just thoughts – that they aren’t real and can’t hurt them. Encouraging them to think of their thoughts as a tangible object they can shoo away can be really empowering. I always make a production of getting my daughter to ‘throw away’ the things she’s worrying about. It’s surprisingly fun and provides a greater feeling of control. 7. Think of something that makes you happy. We once watched an episode of Daniel Tiger’s Neighborhood in which Daniel was feeling anxious about going to the doctor, and his mom broke into song (as she often does) and sang, ‘close your eyes, and think of something happy!’ I had no idea at the time, but those words have become important ones in our household as it reminds us to remember the good things when we are starting to feel overwhelmed by the bad. Some of the benefits of yoga include mental wellness, relaxation, improved respiration, and lowered heart rate, so it’s no surprise that many people use yoga to alleviate feelings of anxiety as it helps calm you, slow your mind, and keep overwhelming thoughts at bay. But what most people don’t realize is that you can also use yoga to help children with anxiety. I think there’s a preconceived notion that yoga has to be serious, and that you have to be a fit, flexible, and crunchy granola mom in order to participate in family yoga. This couldn’t be farther from the truth! I first got into yoga when I was 12-years-old. My mom did weekly classes with her friends, and since she refused to allow me to stay home alone until I was quite a bit older (don’t even get me started…), she forced me to take the classes with her and her friends when I was on summer vacation. We ended up enjoying it, but since it wasn’t a family yoga class, I was the only kid participating, and we spent most of the class laughing, the other women didn’t really appreciate my presence. But the experience opened my mind to the idea of yoga, and when Niki and I got to talking about anxiety in children, and she asked if she could send me a yoga kit to try from the comfort of our own home, I couldn’t pass up the opportunity. 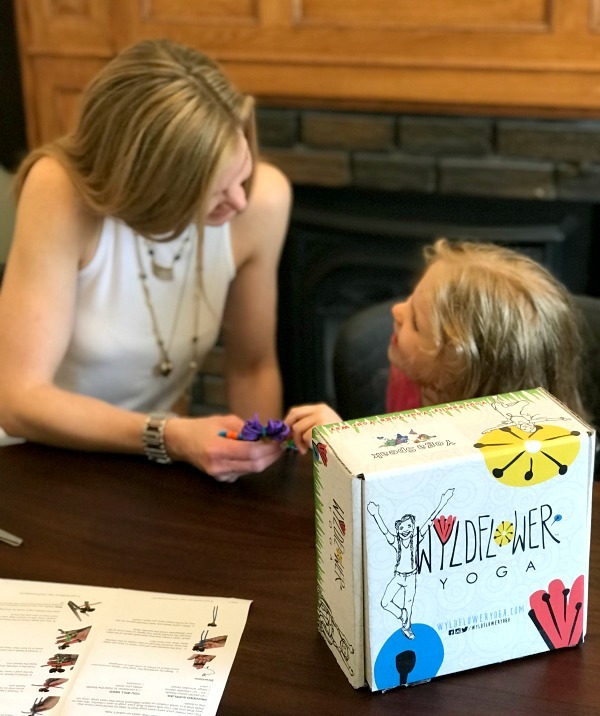 Founded by Niki Bergstorm, who has taught kids’ yoga since 2015 in studios and school settings, Wyldflower Yoga kits use a combination of Yoga and STEAM learning (science, technology, engineering, art, and math) to help children blossom into their true selves. Who is Wyldflower Yoga for? The kits are designed for kids aged 3-13, and are meant to be enjoyed as a family. While some of the activities and yoga poses can be completed individually by older kids, the idea is to go through the kit (and the activities) together. This allows siblings to put their rivalries aside for a while each day, and allows the whole family to connect and unwind in an intentional and meaningful way. A caregivers guide, which helped lay the groundwork for me. It summarized what was included in the box, and how my daughter and I could get the most out of it. A yoga movement booklet, which visually demonstrates a series of yoga poses, with written descriptions I can read out to my daughter as we’re practicing. A breath technique card, which inspired me to try the ‘kiyam’ mindful breathing technique I discussed earlier (spoiler alert: it’s phenomenal). A relaxation story card, which reminded me to add sensory check-ins to our list of strategies my daughter and I can use when we’re feeling anxious. A family challenge card, which reminds us to take the time to put everything aside and connect with one another each day. A hands-on activity to complete together. The yoga poses, cards, and activities change each month, giving you fresh ideas to try with your child in your quest to connect with and spend quality time together, while simultaneously teaching your child different coping skills she can use when big emotions threaten to take over. While trying out our first box, we kept things pretty light and practiced all of the poses each night while discussing the (helpful) facts included in our yoga movement book. We really love the ‘hero’ pose! We were also fortunate enough to receive TWO activities in our first kit (thanks, Niki! ), and they were so much fun! The first was to create a ‘Bendy Yogi’, which doubled as a fabulous fine motor skill activity for my sweet girl. We named ours ‘Noodle’, and my daughter enjoys bending him into the different yoga poses we perform each evening. 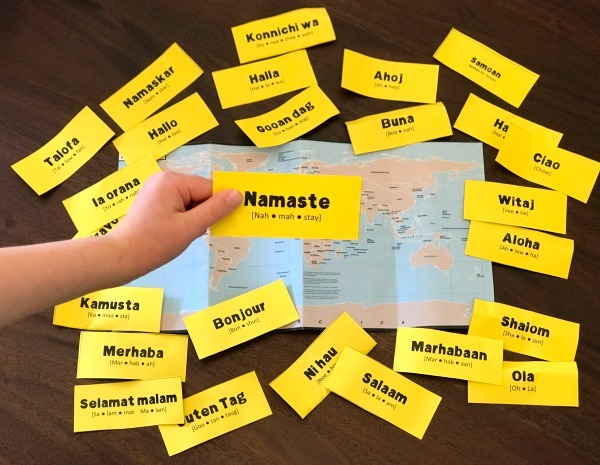 The second activity had us practicing how to say ‘hello’ in a bunch of different languages while also finding the corresponding countries on a world map. I thought this was particularly cool because 1) it was really fun trying to pronounce all of the words together, 2) I was able to show my daughter where I grew up (Singapore) as well as all of the other countries I’ve visited throughout my life, and 3) it gave me an opportunity to point out another way that we are all different from one another, and how our uniqueness is what makes us special. 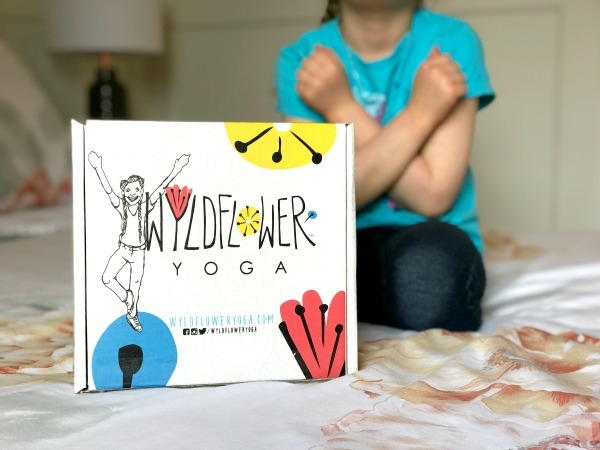 We had such a great time exploring our first Wyldflower Yoga kit, and we are counting down the days until our next one arrives. As a busy, working mom who constantly feels like she’s pulled in a million different directions each day, I am all about simplicity, and having someone curate and send me a monthly box filled with meaningful strategies and activities to do with my daughter to help us connect, unwind, and have fun together while also creating a ‘safe place’ for my daughter to share her worries with me has been nothing short of amazing. 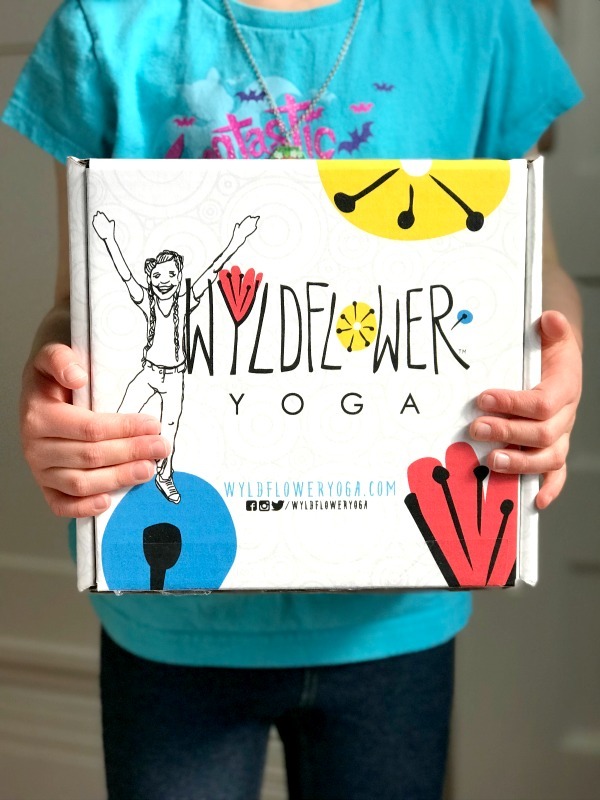 CLICK HERE to get started with your first Wyldflower Yoga kit! About 10 years ago, I connected with my childhood babysitter on Facebook. Her photos and stories about her daughter always capture my heart, and shortly after my own daughter was born, I sent her a private message telling her how much she inspires me as a mother. She wrote back telling me that, since she only has one child, she figures she only has ONE chance to get it right, and uses that as motivation to be the best mom she can be each and everyday. She will never know how much those words have shaped my journey as an anxious mom raising an anxious child, and I hope my tips and tricks about childhood anxiety prove helpful to you. Don’t forget to check out Wyldflower Yoga HERE, and on the days you feel overwhelmed and as if you will never be able to help your anxious child, remember that simply showing up and being there for her is half the battle. 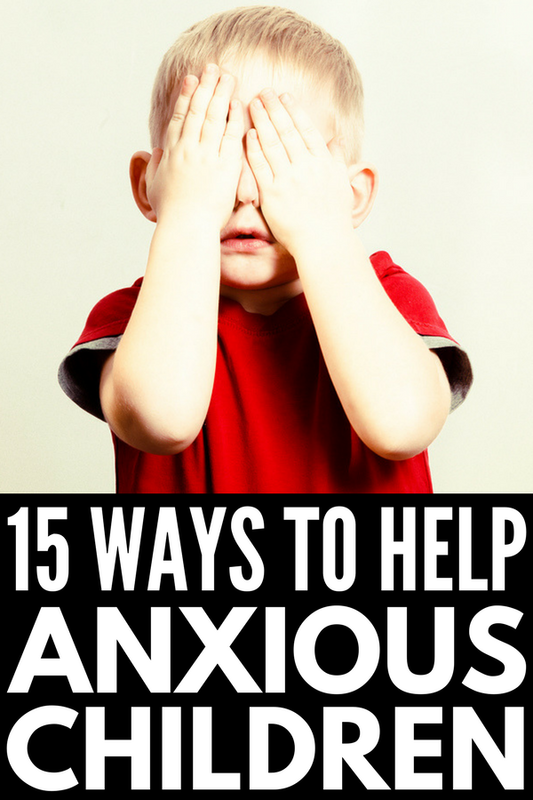 If you found these tips to help anxiety in children helpful, please share this post on Pinterest!